Ideally located for groups of friends looking to acquaint themselves with all the enchantments of Seminyak, Villa Lilibel is equally suited to family getaways, creating a stylish, expansive and supremely comfortable setting to relax and rejuvenate. 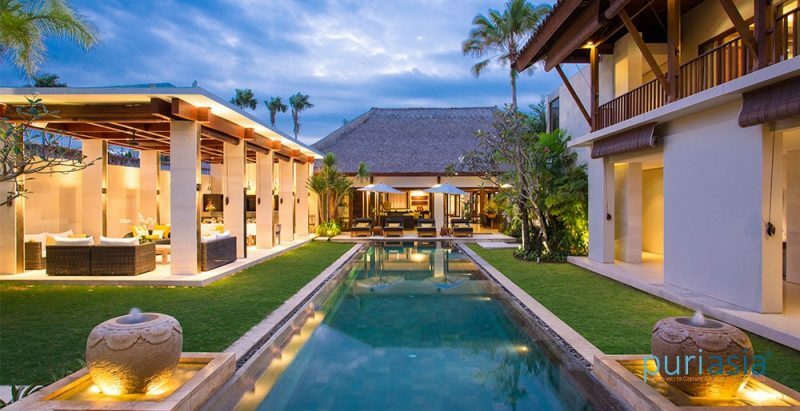 Six ensuite bedrooms and a combination of generous indoor and outdoor living areas provide ample opportunity for communal gatherings and private moments, and the central design makes it easy to keep an eye on kids, who will love the shallow wading area of the pool. 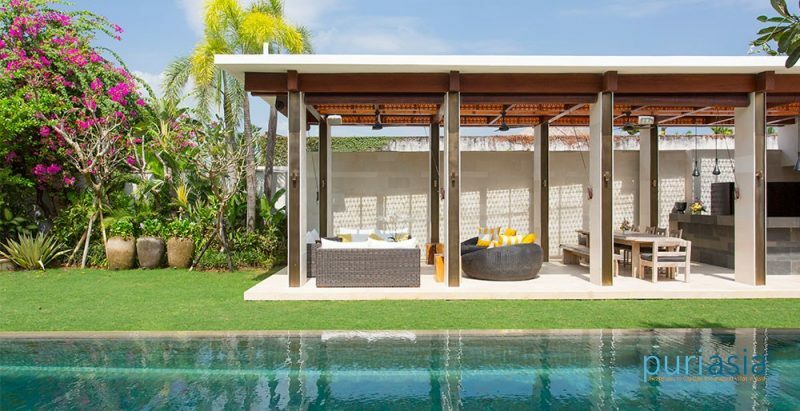 Tropical outdoor living is a definite highlight, with a beautiful 16-metre swimming pool tiled in Indian slate, elegant sun loungers, and romantic antique joglo (pavilion) fringed with billowing white drapes. 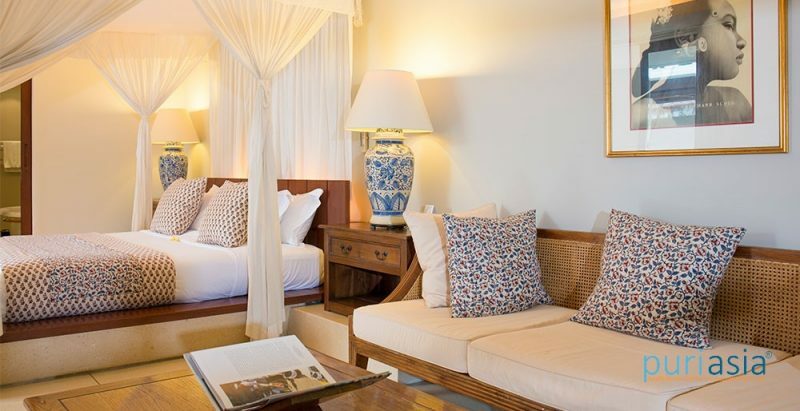 The gardens abound with palms, frangipani, heliconia, courtyard ponds and stone statues. A large, shady outdoor living area incorporates a lounge suite and rustic dining table and is equally suited to lazy daytime dozes, delicious sunset barbecues and lively evening get-togethers. 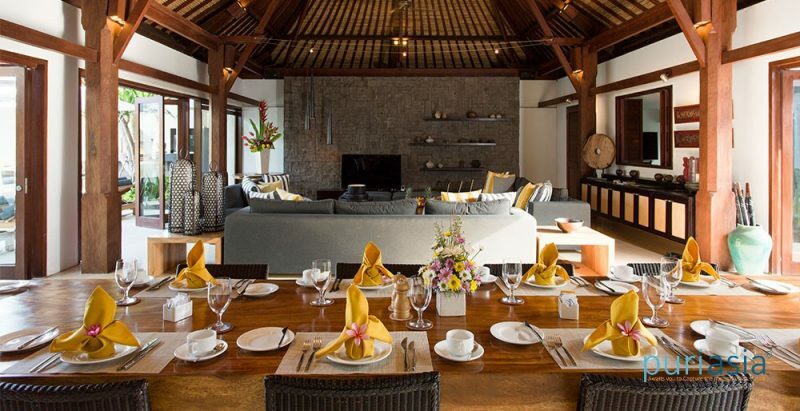 Indoor living is also optimal, with a spacious main dining room and lounge with soaring alang-alang thatched ceilings, a 65-inch TV and a Sonos sound system. A wooden staircase leads up to two more bedrooms wrapped by a wide shady veranda with polished floorboards, daybed, table and chairs. 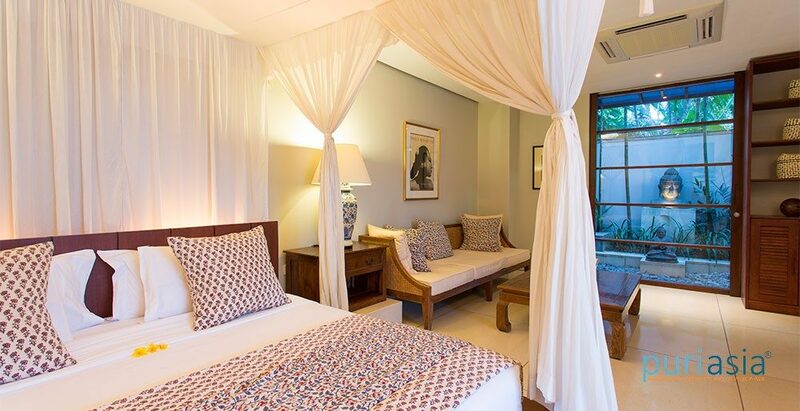 Each has king-size bed with batik soft furnishings, rattan wardrobe and easy chair. 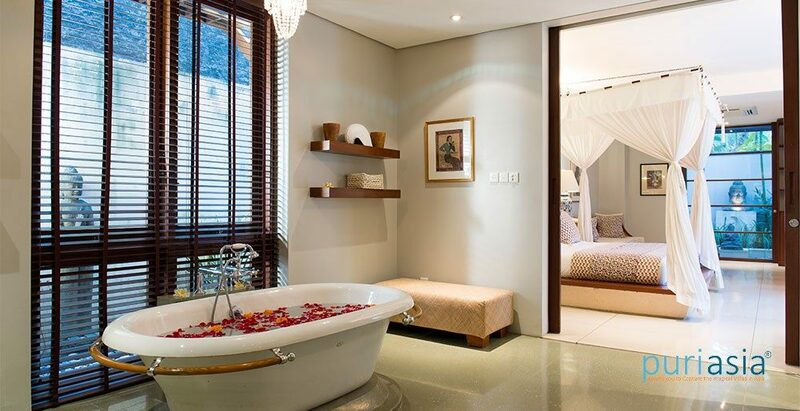 Bathrooms have green terrazzo floors, single vanities, walk-in rain showers and built-in tubs. The bathroom at the far end also has a large window overlooking lush foliage. To the left of the entrance, two ground floor bedrooms open on to a covered patio overlooking the courtyard. Both can be configured as king- or twin-bedded rooms, and have bathrooms of grey and black marble with walk-in rain showers. 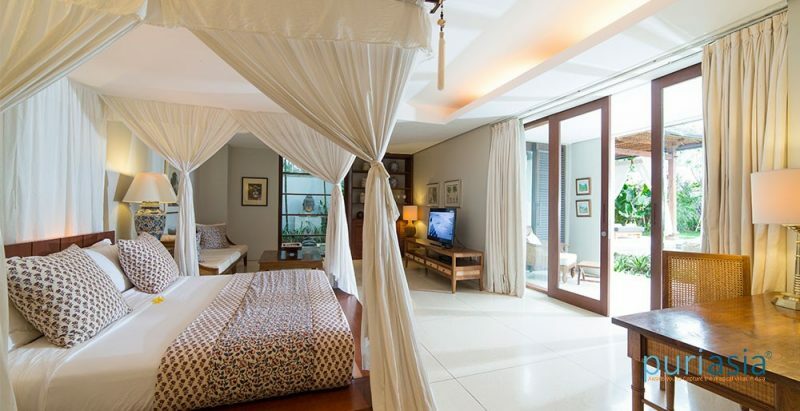 A staircase leads to a bright and sunny upstairs bedroom furnished with a king-sized bed. Sliding doors open on to a bathroom with antique chest, built-in terrazzo tub and hand-held shower, and single vanity with gilded silver mirror. The fan-cooled indoor living and dining room occupies a central pavilion with soaring alang-alang thatched ceilings and glass fold-back doors opening onto the pool and garden. 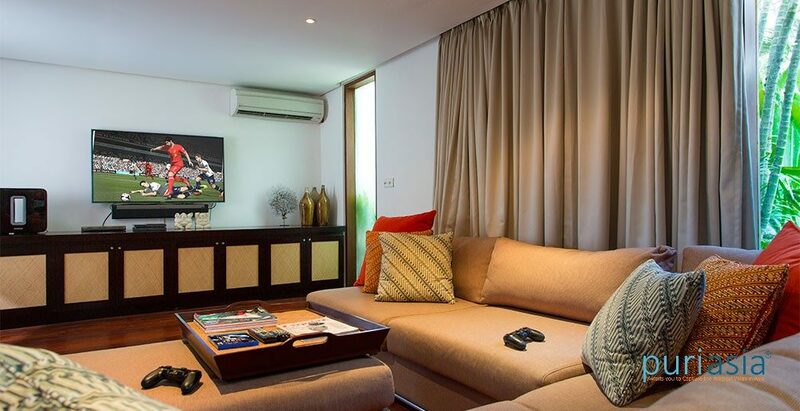 An oversized dark grey lounge suite is scattered with stripy cushions and makes a perfect viewing area for the 65-inch flat-screen TV. A long dining table carved from a single tree trunk seats 12. The room is equipped with Sonos sound system, iPod dock and Bose speakers. 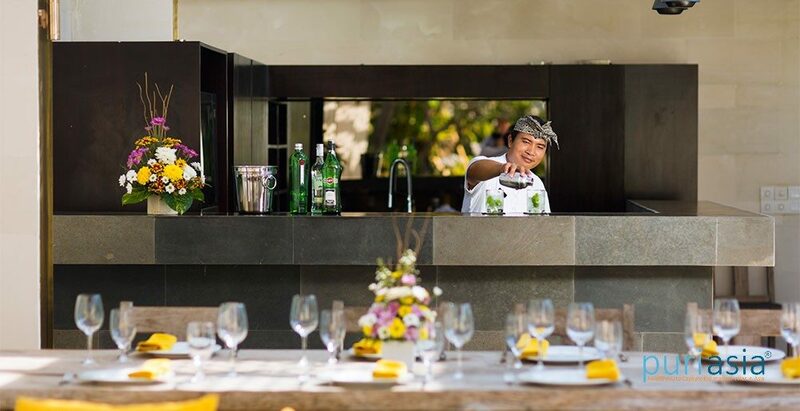 The adjoining modern staff kitchen, divided from the dining area by a stone wall, and is well equipped with creamy marble island counter, stainless steel fittings, built-in cabinets, and wine fridge. An air-conditioned TV lounge is situated off the living room, with plump corner lounge suite, 55-inch flat-screen TV, DVD player and PlayStation 4. Glass doors open onto the entrance courtyard. The 16-metre swimming pool has four loungers shaded by stylish white sunbrellas at one end, at the other end is a beautiful carved antique joglo relaxation pavilion with white curtains, two daybeds and stone statues of monks. 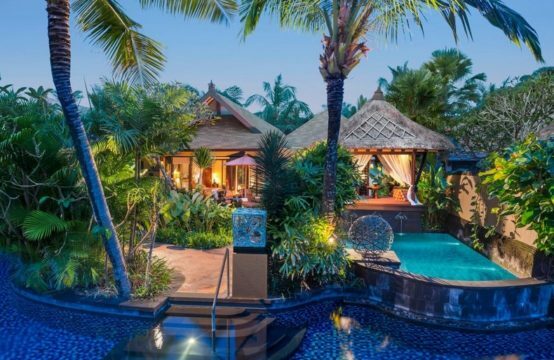 Tropical gardens of bougainvillea, frangipani and travellers palms encircle the pool, which has a shallow wading area with built-in seating. 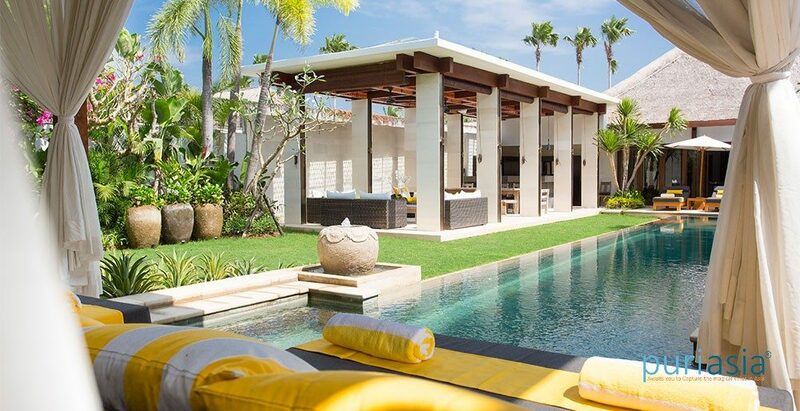 A bright and cheerful outdoor living and bar area flanks the pool, furnished with a rustic outdoor dining table for 12, sofas and circular daybeds overlooking the barbecue terrace. 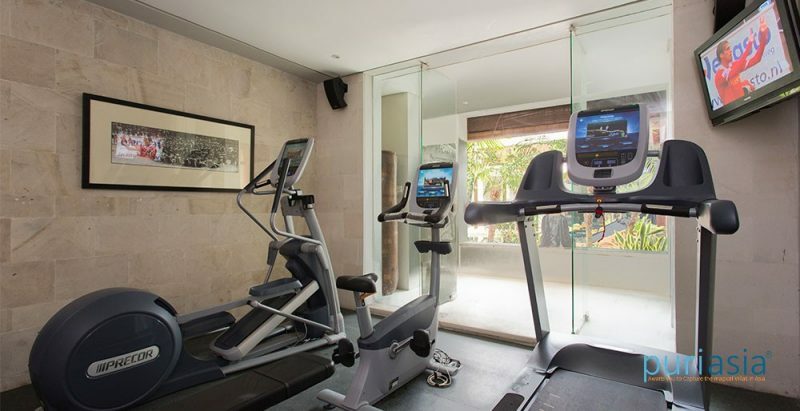 The air-conditioned gym overlooks the garden with a good range of weights, training bench, tread mill, exercise bike, elliptical machine, wall mounted TV and mini fridge. 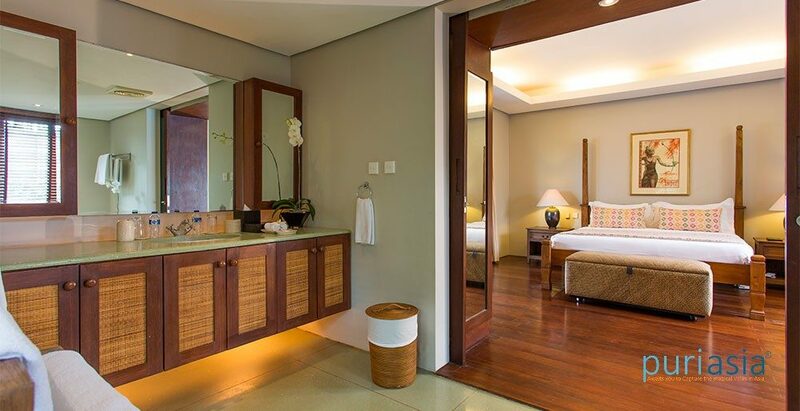 The serene air-conditioned spa room is equipped with two massage beds and has its own shower room. 12 people (6 ensuite bedrooms with king-size or twin beds). Extra bed are available for an additional charge. Villa manager; assistant manager; private chef and cook; butlers; night security. Additional staff (babysitters, masseuses) available on request for a small additional charge. 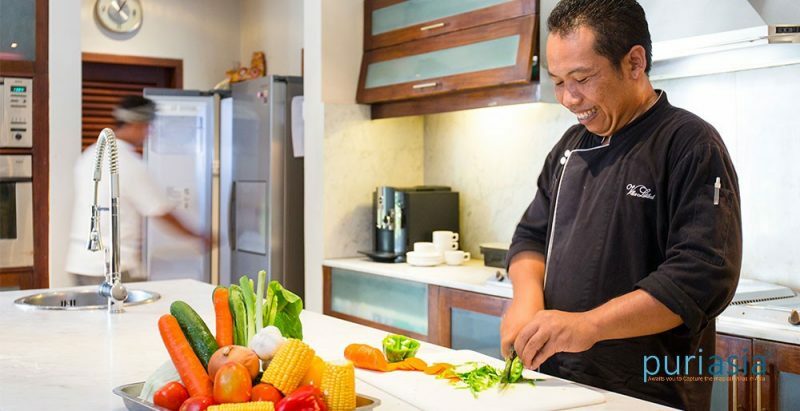 Lilibel Villa is well equipped for families. Facilities include: baby cot; high chair; pool safety fence (charge applies) and wading area at end of pool. Lilibel Villa’s central Seminyak location means that many attractions are within easy walking distance. If additional transport is required, don’t hesitate to ask the villa manager to call one of the island’s safe and reasonably priced metered taxis, or to organise day or half-day car and driver hire for sightseeing (additional cost).